In this last post for the year, I want to look at some of the things I think will be big discussion points during the year as Auckland continues to transform into a better city. With works now well underway on the first sections of the CRL the project will remain a strong talking point in 2017 as we follow its progress. We start the year with changes at Britomart with the new temporary entrance coming into use. 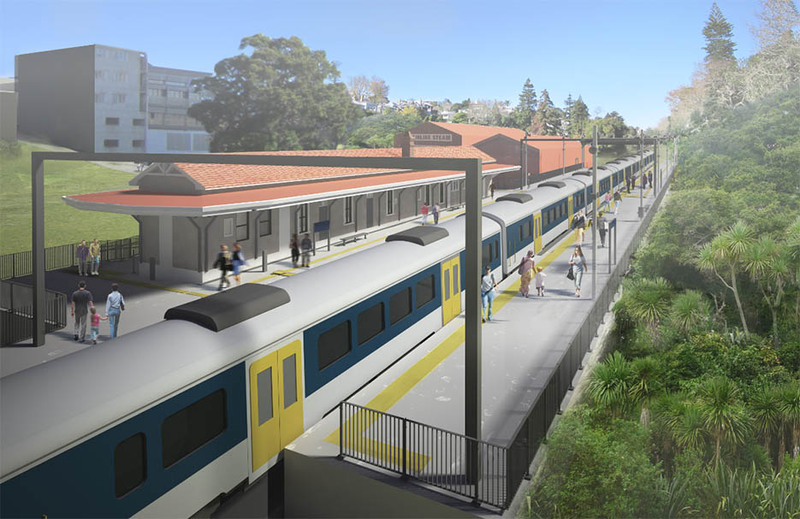 Early in the new year the CRL team are expected to put the rest of the project out to tender. Well also be focusing a lot on what happens to the streets after construction is finished. The works so far have shown the city can still function well with the significant disruption that’s occurred already and so we believe there’s an opportunity to vastly improve them for pedestrians, not just put them back as they were. The government don’t like the idea of Light Rail on Dominion Rd but begrudgingly acknowledge the need for more rapid transit capacity. So in ATAP, they referred to the idea as ‘Mass Transit’ and said the NZTA would be looking at bus alternatives before confirming what would happen in the future. This work is already well underway and I’d expect it to be released early in the new year. We know AT had already put a lot of work in before deciding on the Light Rail option, including analysing many bus alternatives. So to be credible, this new study will have to show how it deals with the issues, like city centre street capacity, that led to AT picking light rail in the first place. If they ignore those issues, it will put Light Rail on the same track to existence as the CRL did with the government and its agencies producing competing and often incomplete analysis before finally agreeing with the project. The issue of congestion around the airport is also likely to be a big factor and one I think will only increase pressure on politicians to get this addressed. I expect we will hear more in 2017 about how AT plans to develop the Rapid Transit Network. At the very least the Northwest Busway which was identified in ATAP as needed in the first decade. We know AT have already been doing some work looking at this. I also think we’ll hear more about other RTN projects such as AMETI and how to deal with electric trains to Pukekohe, either extending the wires or using battery powered trains. In 2017 we are will see the roll out of the new bus network in West Auckland in June followed by Central Auckland a few months later. In March the new Parnell Station is finally due to open. The old Newmarket Station building was moved to the site just before Christmas and is being refurbished as part of the station. The opening comes alongside a new rail timetable that AT say will speed up services – although that may be only by a couple of minutes so not the significant improvements that are needed. Government elections will likely be a strong point of discussion in the coming year, especially in the latter half as voting draws near. It was of course made more interesting by John Key’s sudden resignation a few weeks ago. Transport is not usually a major talking point but we’ll certainly be watching it. Housing is certainly shaping up to be a massive issue though so it will be fascinating to see what impact that has. We’re also hoping to see progress on Skypath this year now that the consent issues are out of the way. After around 5 years of construction, in April the Waterview connection is finally due to open. It will be fascinating to see just what impact the project has as there’s a very high chance it will cause significant congestion, especially leading to the city. The hugely expensive East-West link is going to get a lot of attention in 2017 as it moves through the consenting process. The NZTA lodged applications for consent just a few weeks ago and the EPA process needs to be completed within nine months of that. A lot of mainstream media focus will be on the Onehunga area where there is a lot of opposition to what the NZTA have proposed. The Northern Corridor will also be going through the same process as the East-West link but so far there hasn’t been anywhere near the level of opposition to the project, especially seeing as extending the Northern Busway is now a key feature of the project. A big discussion this year will be the refresh of the Auckland Plan, the 30 year strategic plan for Auckland. Since the first Auckland Plan around six years ago, we’ve made significant progress on some issues, such as the CRL and Unitary Plan but we also face a lot of new challenges, especially around the provision of housing. It will be interesting to see how much the vision for Auckland changes. We’ll obviously be following closely what happens with Auckland Transport in 2017. One big thing to watch is that AT will be hunting for a new CEO this year. You’re right – a big year! Be interesting to see how the ATAP funding gap is addressed too. Highlights for a me are the train timetable changes and West New Network which will make weekend services especially more frequent and usable. Fingers crossed trains are going to run later, currently they are unusable for many finishing work between 10pm-12am, although I hoped for this in the May 2016 timetable change and saw nothing much changed. 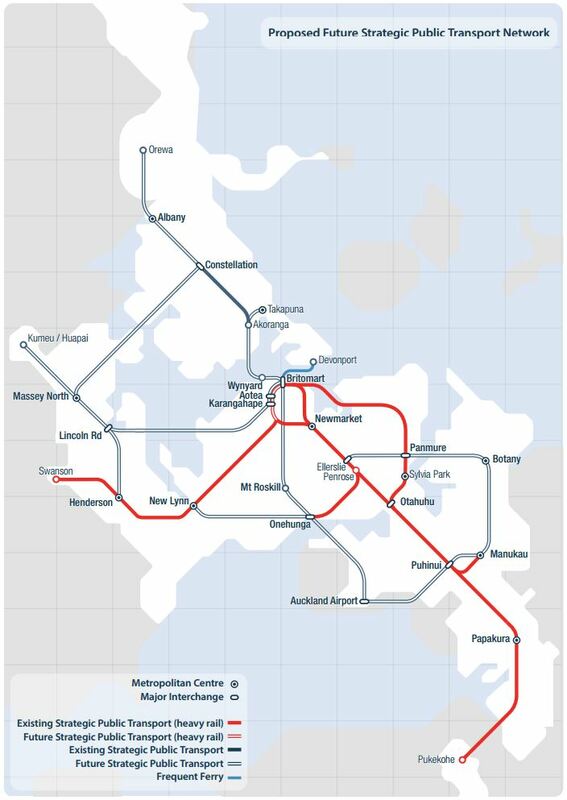 Look forward to hearing more about the CRL and hopefully the east-west link doesn’t go ahead as currently proposed. Heh, yeah I don’t really have my hopes up knowing AT. I am running out of excuses to my boss as to why I can’t do the standard 3:30pm-12am shift, going to have to get some wheels I suppose :P.
I’d hold out buying the wheels until after Waterview opens Peter, because all your colleagues will be having mountains of ‘splaining to do to the boss about why they’re always so damn late, each and every day due to the festercluck that Waterview will become. 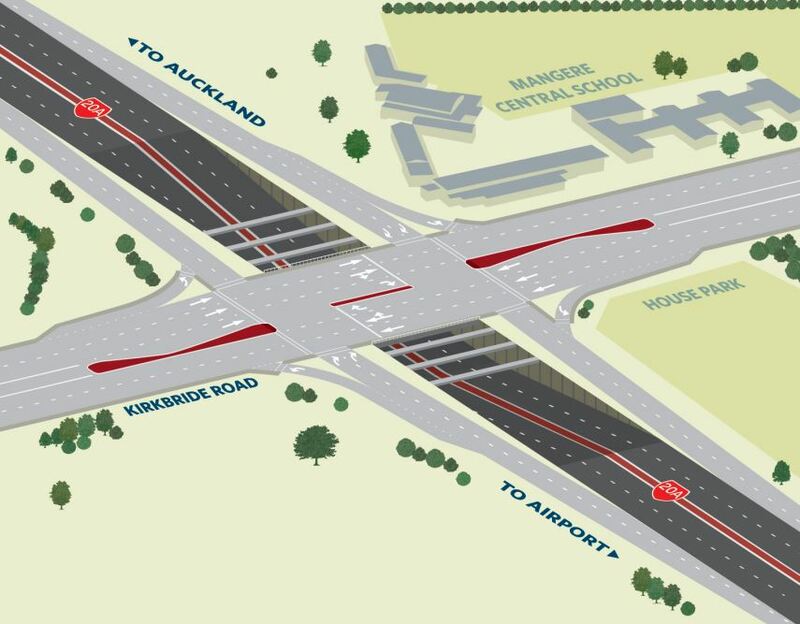 Waterview won’t be the festercluck you think it will be, the traffic engineers learnt their lesson with the SH20-SH1 link at Manukau and are now putting in the extra lane to Takanini that were to be built 13 years ago. Ted, I suspect you are being optimistic. The logjam heading west on SH16 is being caused by the merge of traffic at Lincoln Road. Currently it backs up to Patiki. 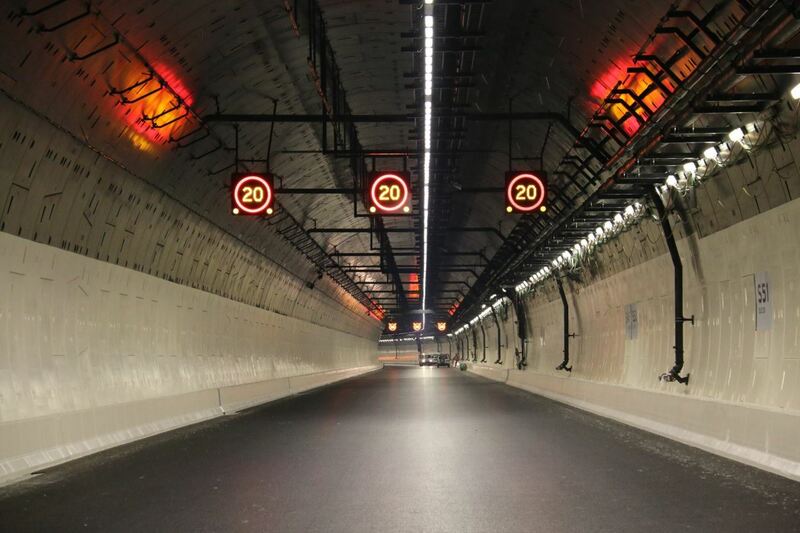 That’s the first exit after the SH20 join – how do you think that is going to play out when the SH20 traffic joins up? The NW can’t handle the current traffic load, shortcutting a bunch of southern traffic into the mix isn’t going to help. E: Actually it’s the first join with no dedicated lane to drive into from the ramp, a merge is mandatory. Point still stands. The flaw is the NW itself, until that’s fixed it’s just fuel on the fire. It also currently backs up from the CMJ connections north & south. These are also not getting any more capacity, so additional waterview traffic will make it much worse. Greg the colleagues of Peter will be (an educated guess taken from Peters comments) going in the opposite direction to where the theoretical festercluck will be. Buttwizard “logjam heading west on SH16” is not going to be made significantly worse as there will not be any significant amount of extra traffic all that will change is where it joins SH16. Getting the traffic to Waterview quicker does not have the same effect as the other end of SH20 had as the bottle neck on SH16 will still be Lincoln Road, the various bottle necks on the south side were all releaved at the same time funneling it into the new and improved bottle neck. It was bad enough when one lane of Manukau on ramp and two lanes of SH1 became three lanes then 1.5 ks down the road became two again, the new and improved bottle neck had the former one lane bottle neck that was the Manukau on ramp become two plus two more from SH20 and at the same time SH1 went from two lanes to three so prior to that link three lanes went into two at Hill rd, after the link seven lanes still went into two at Hill rd. There was no more traffic at Manukau just by removing a number of bottle necks at the same time they got it there faster creating a super bottle neck. Anthony there is still the same amount of traffic all that changes is there is more choice. Traffic from south to north or north to south will instead of having the options of CMJ or through the various local centres there will now be a choice of two motorways. Why is having choices good when it is PT choices but bad when it is road choices? Because it will encourage more people to drive at peak, meaning mores cars sitting in more lanes of more heavily congested traffic. I’m looking forward to using the new Waterview route in the off-peak. It should cut time off an off-peak airport run. But peak times…. festercluck. 3 decades of neoliberal discourse has encouraged people to conflate ‘choice’ with usefulness. You can have as many motorways and arterials as you like, but the only genuine options that deliver sufficiently numerous and reliable journeys are separated public transit – rail or busways. For those who still hanker after some tarmac-pushing prose, there’s always any of our conventional media outlets. Feel free to go there instead. Bevan there will be no noticeable increase in traffic even in peak time, it will just be on a motorway rather than on a rabbit warren of local roads. Forced to drive and in school traffic no less and then return during motorway night works. Zzz. Usual anti car nonsense I’m guessing…. New Years resolution: dust off transport logic and balance out of this terrible bias. That way you’ll be saved from your daily ritual of making the first comment about the supposed anti car bias of the blog and lead a more relaxed life. My new year’s resolution is to get Ricardo banned. Are you that threatened by an alternative viewpoint that your first recourse is censorship? Try a rebuttal if you have something worthwhile to say. It should be easy if he is as wrong as you seem to think. Rebutt what? Has he finally made a point and backed it with evidence? This blog promotes transport balance and choice, unlike Ricardo. So its name is apt. And once again, promoting balance isnt anti car. No one is advocating ripping up roads or not spending on them. Just a recgnition we cant keep tarmac-ing the country and expecting anything but more driving and congestion. Its a lazy and weak line of argument to label everything which does not prioritise the single occupancy vehicle as anti-car. Almost everyone here prmotoing a more balanced approach is a driver too, afterall. Also for Brian, we are the ones who make decisions on if anyone gets banned. It may have escaped your attention that right wing governments such as we have had for the last eight years build roads and bridges; and they are doing just fine at this with a forward order book as long as your arm. There is no need (for this blog) to write on this subject as it is all under control. There are a number of us who see a different (and many of us think more effective way to transport people around cities) and so we write about it. My experience is drawn from observation of a number of places where things are done differently and it seems to produce an outcome that their populace enjoy otherwise they presumably wouldn’t build upon it. My favourite is Vienna where a yearly pass for about $600 allows an individual to travel all over the city on a wonderful public transport system. Imagine how much discretionary income that gives every individual for consumption or investment if their sole transport expenditure is $600 per year? How much less pollution does that represent and savings on the countries external expenditure for vehicles/ fuel? But if you prefer to drive a car that’s fine by me too. And there are plenty of sites that might get you excited. Try the AA and NZTA. Read about the huge volumes of cars that AWHC will induce and make up your own mind whether that makes sense. No, we just want choices. I would like to see Ricardo do a guest post myself. He has his own blog, it’s just not very up to date. Another fantastic year for the blog, thanks for all your efforts in making it happen almost everyday. apologies if I missed something, but what evidence is there that the “govt doesn’t like the idea of LRT on Dominion Rd”? And when we say “Government” do we mean NZTA, MoT, and/or the National Government? Can someone hook me up with the deets. So the National Government doesn’t like LRT? Ok. 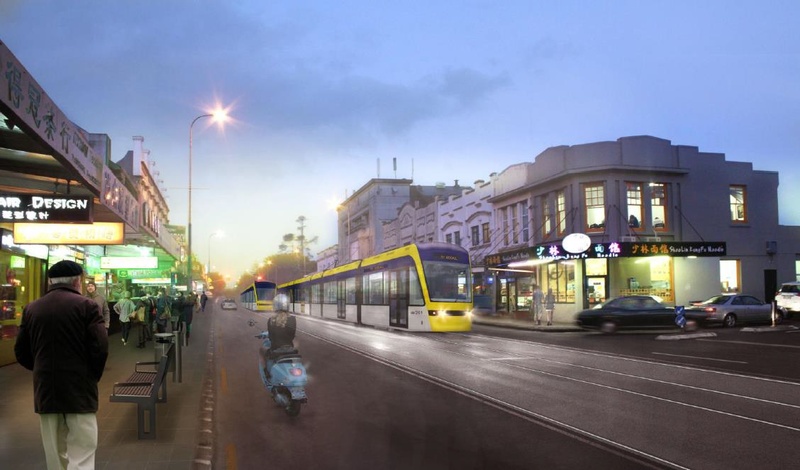 But is there anything on record to say that NZTA or MoT “dislike” LRT on Dom Rd? Or is it more that they are skeptical? Stu I don’t know that they are against LR on Dominion Rd or some other routes for that matter, it is that Dominion Rd LR and AIAL LR keep getting wound into one and that is the worst option (other than doing nothing) for mass transit to the airport. 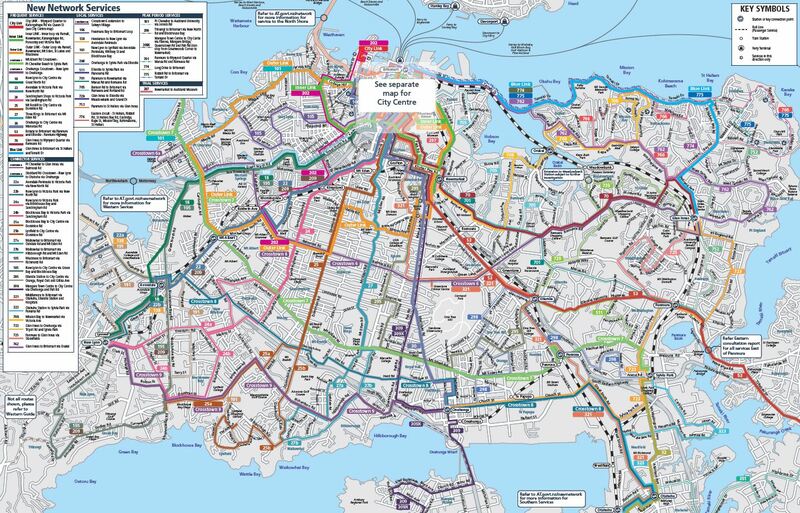 In my personal opinion Dominion Rd LR is a good idea (while I’m still skeptical of it fitting the way the pictures show) along with some other routes including Manukau/Great south rd to Elerslie to join to the Elerslie, Botany/eastern suburbs to Manukau LR line. LR could also be used as an alternative to HR (my preference is for HR on these route) in place of the NW busway to Kumeu and the NS busway, if these are LR add a LR connection between Westgate and Albany other wise a bus service with dedicated lanes would be sufficient. Maybe I’m being a pedant, but 1) perhaps a degree of scepticism is warranted and 2) I would not necessarily describe scepticism as “dislike” for a particular idea. I don’t think those organisations would ever put something one the record saying they don’t like it. It should probably be a scandal if they did. But we know from discussions with people in the industry that there are certainly some people working for them that are as ideologically opposed to anything with the word ‘rail’ in it than the government, some even more so. There are of course the people at the other end of the spectrum too. so all that exists (on record) is a couple of ministers saying they’re not yet convinced, and otherwise all we have is hearsay? That doesn’t seem sufficient evidence to represent a whole of government perspective. After all, you could find people within any organization that is sceptical about any one thing or another. I suspect many people within NZTA/MoT are sceptical about the RoNS, for example. Well clearly Stu, what politician is going to go on record saying “I have an arbitrary and baseless hatred of anything with the word rail in it for reasons of blind ideology”. Of course there are undoubtedly many people with all sorts of views on rail across all government organisations, but at the end of the day they all answer to the ministers either directly or through a chain of command. Nick – I’m pretty sure that Joyce, English, Brownlee et al have already said almost exactly that.